The business of payments has changed drastically over the last number of years, thanks the emergence of fintech. Whether it’s start-ups or traditional financial institutions, there has been a boom in solutions that make accepting and processing payments easier for both businesses and consumers. For a long time, payments technology was the preserve of large companies – those that could afford it – but fintech is aiming to democratise that whole process. SMBs can now access payment solutions without committing to bulky long term bank contracts. All they need is the right hardware and software. At the same time, this has been transformative for consumers and their attitudes. Consumers expect a seamless, uninterrupted experience when making payments. People now want quick and painless transactions – their focus has shifted from saving money to saving time. Companies need to stand out and make this process as easy as possible because this new breed of customer is more likely to buy from companies offering mobile, personalised, and accessible financial experiences. The digitisation of payment services is creating a new landscape for small businesses; here are three of the hugely positive effects. Now more and more people are paying through cards, NFC, and digital wallets. In 2015 the use of cashless payments in the UK alone overtook the use of physical cash for the first time. It marked an important watershed moment for cashless payments. 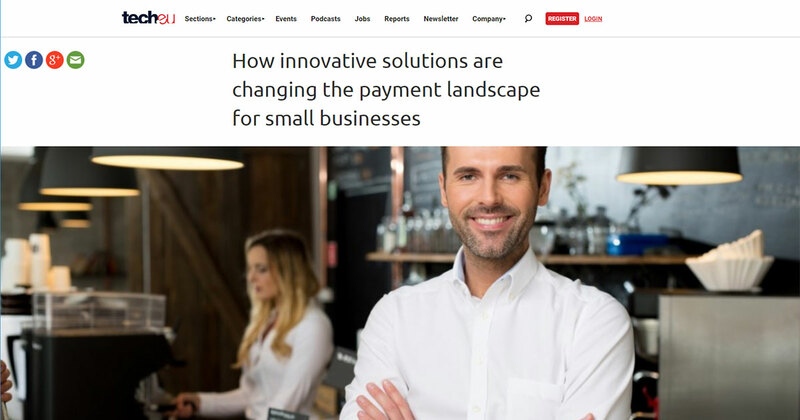 Small businesses need to be prepared to keep up with this demand if they want to survive and thrive by bringing all available payment options into one sophisticated and streamlined payment platform. That’s where fintech companies like ourselves come to help SMBs accept payments and integrate cutting-edge technologies and cashless payment solutions like POS terminals into their current business systems and processes. The firm’s payment platform allows businesses to receive payments through cards, NFC, and online, bridging the gap between a company’s bricks and mortar location and its online ecommerce presence and helps businesses to take full advantage of omnichannel retailing. Fintech services and modern payment processing solutions are at odds with traditional banking services. Fintech tries to make small businesses more efficient rather than cumbersome. Receiving payments via a platform like myPOS drives this productivity. Payments are received and settled, within seconds, to the online e-money account of the merchant. This efficiency has ripple effects across the company. It means less time spent processing payments, companies have more power over their cash flow, and greater flexibility in managing their funds. Gone are the days when businesses relied only on the excellent qualities of their product or service to retain customers in the long term. Now, the focus is shifting to creating added value. Fintech companies understand this change and have expanded their services far beyond payments, creating an environment where customers feel they’re getting more value and want to come back. myPOS, for instance, offers valued-added services like Payment Request for distant payments, Top-up for prepaid mobile phones and Private Label GiftCards for custom-made close-loop payments. Merchants can, as a result, generate additional revenue streams and enhance their brand strategy.